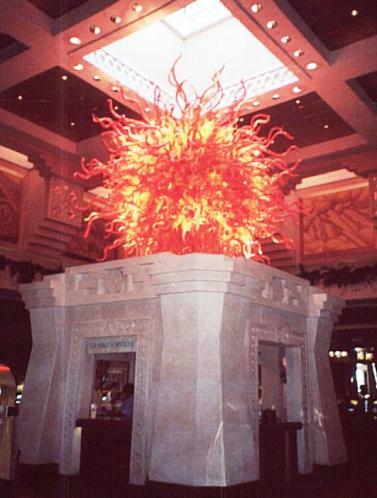 The Temple of the Sun, that iconic image of the Atlantis Casino, is an information booth. Sign up here for a free gaming lesson. Every day at 3:00 PM, the casino offers free gaming lessons. They taught me the basics of baccarat although everyone else at the lesson seemed more keen on learning the intricacies of craps and roulette. 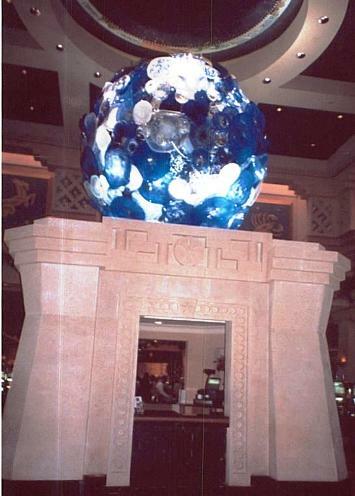 Two restaurants are located in the casino: the casual Atlas Bar and Grill and the upscale Nobu. Dance until early morning upstairs at the Aura nightclub where the beautiful people come to be seen. 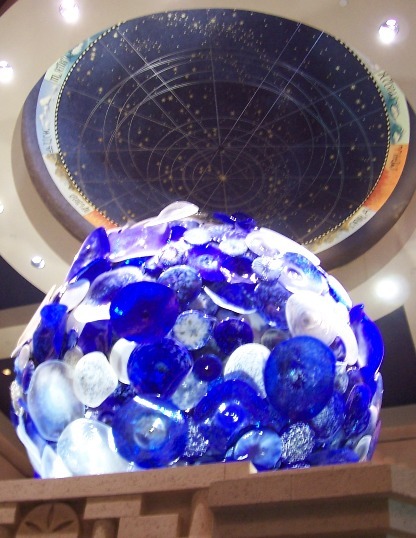 Over your head, the ceiling, complete with skylights, offers a fantastical view of painted constellations and signs of the zodiac.